Versapak Doping Control Ltd are the UK supplier of ‘tamper evident’ Urine and Blood kits. We advocate the integrity and security of our products for the purpose of clean sports, but most importantly the ‘choice‘, for the athletes, the Anti-Doping organisations (ADO) and the Anti-Doping industry as a whole. It is important for the sporting industry to recognise there is now a choice; with our New Versapak Urine kit we have thoroughly investigated and developed a product that is secure and meets the requirements of the industry. 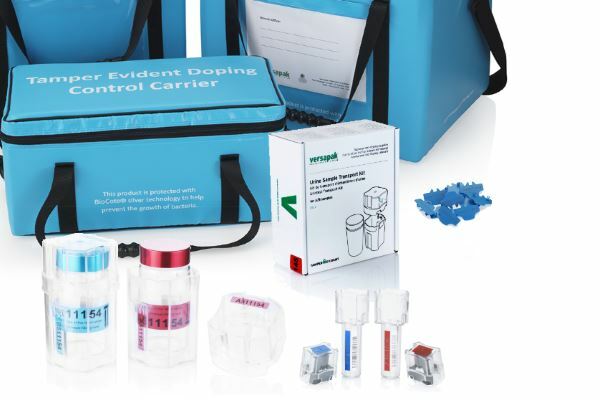 Versapak Doping Control kits are ‘genuine’, thanks to a technology that allows the laboratory to validate it was manufactured by Versapak, exclusively available to Versapak Doping Control kits. This means that no one can attempt to copy a sample kit for malicious intent without being detected. We encourage the market to explore all of their options and choose what is important when transporting Urine & Blood samples. Accept no substitute for integrity. The ‘right choice‘ is in the interests of a fair and competitive sporting industry.